Are you looking for the best free responsive WordPress themes out on the market today? Whether you are setting up a new blog or website using WordPress, you need a responsive theme, as it is necessary for helping you rank better in the search engines. A fully responsive theme simply means that your blog or website will adapt and be displayed correctly, no matter what type of device it’s being viewed from. Fully responsive WordPress themes serve up different versions of your site, so you’d have one version for desktop viewing, a smaller, vertical version for iPad and tablet viewing, and then a mobile version for smartphone viewing. Since you want your visitors to visit your website easily and be able to read over everything with ease, fully responsive WordPress themes are highly recommended. If you are looking for a great free responsive WordPress theme, look no further! And the best thing about all of these themes is that they’re completely free! GeneratePress is an outstanding theme, especially when used with drag-and-drop page builders like Divi or Elementor. It’s simple, sleek, and modern, allowing for anyone with any skill level to jump right in and start customizing. Features include five menu navigation spots, drop-down menus, and several sidebar layouts. 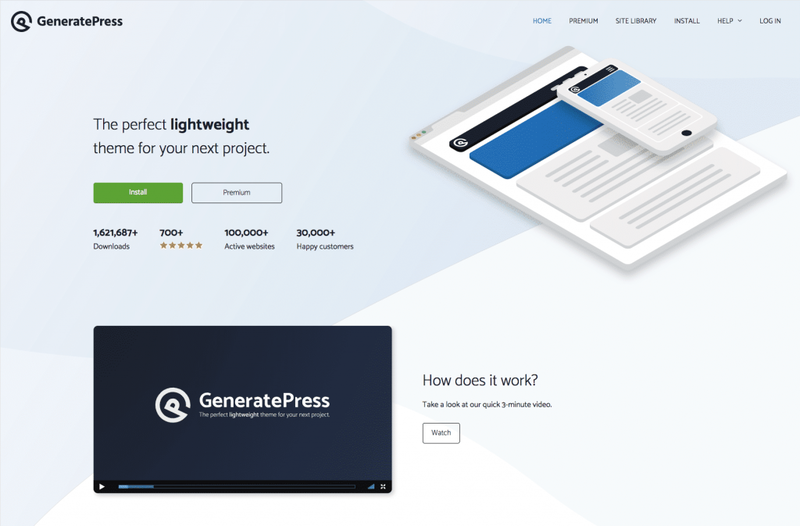 GeneratePress is one of the most impressive, free themes on the market today. We’re using it for WPLift! Hestia is a free theme with all premium features. This theme is fully compatible with page builders, SEO friendly, and WooCommerce ready. With just a few clicks, you can easily customize everything on your site and see the changes in real-time with the Live Customizer in Action feature. Flash is a free and flexible WordPress theme that is ideal for businesses who want to look professional. With its built-in drag and drop page builder, customizing is a breeze. This theme also includes a place for customer testimonials, team member information, and is WooCommerce ready. Flash is a modern theme that looks very expensive, so take advantage. If you’re a company or freelancer looking to present a powerful online presence, then Sydney is the theme for you. There are extensive customization options available with Google fonts, logo uploads, and several different color options. Social icons have been integrated into this theme to send customers directly to your social media pages. With all of the different options that Sydney offers, it’s a great free theme. Allegiant is a one of a kind WordPress theme that has a clean, modern design. With its large header/slider module, you can easily showcase your most popular services or products. Allegiant is ideal for small business, marketing agencies, or anyone needing a stylish, professional website. Other features include customer testimonials, a portfolio, and team member information. Vantage is a fully responsive, multipurpose WordPress theme ideal for business professionals. This theme integrates well with WooCommerce and PageBuilder. Vantage is often used as a portfolio website since it supports high-resolution images and you can create a filterable grid with thumbnails and links to your best work. The custom background and custom menu options allow for you to make your site exactly what you want. ColorMag is a very popular, highly responsive WordPress theme ideal for a magazine or news website. It is filled with spots for you to display advertisements so that monetizing your site is a breeze. This theme also comes with various social media buttons so that your visitors can easily follow you on different social media platforms. Along with custom headers and colors, ColorMag comes with just about any plugin you can imagine. This theme is a must-have! Rocked is a great option for anyone looking for a clean, responsive WordPress theme. This theme is ideal for corporate users since it has logo and favicon upload options, color control, predefined blocks, and more. Rocked also offers a testimonial section, a section for listing our services offered, and you can even add your own custom code. Parallax One is a WordPress theme that easily stands out from the crowd. It features a beautiful parallax effect that requires a quick image upload. After that, users get to enjoy the parallax movement when they scroll down the page. Parallax One features a simple, one-page layout that keeps all the focus on the homepage. This theme is fully customizable allowing you to make your site truly your own. MH Magazine Lite is the perfect free solution for those wanting to start an online magazine or news site. This theme offers various modules for cramming tons of stories onto your site. MH Magazine Lite also has several different spots for displaying ads so that you can monetize your site easily. Custom widgets help you drag modules onto your sidebars and footers, and featured images support high-resolution photos. Get your brand off the ground with this attractive, free magazine theme. Astrid is the perfect solution if you’re looking for a free theme to help your business look more professional. The color and font options available are endless allowing you to be completely original. 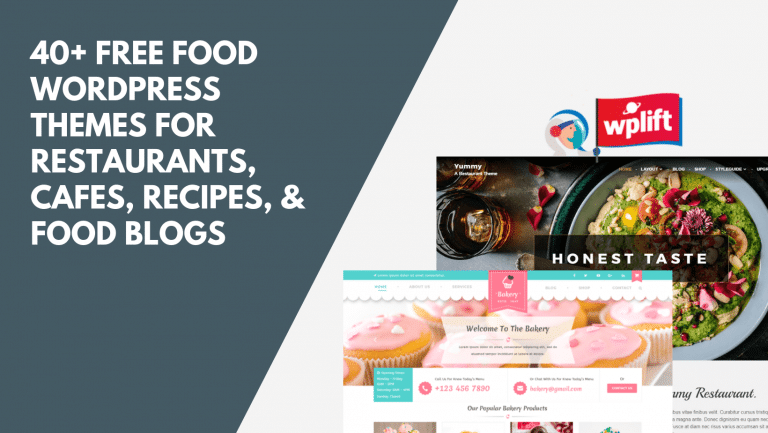 The impressive business layout has a section for highlighting your team, a module for displaying services and products, and is WooCommerce ready. This theme looks premium but doesn’t cost a dime. Llorix One Lite is a simple, free theme with many premium features. The one-page layout ensures that visitors will be presented with much of your content as soon as they land on your site. The entire homepage is completely customizable so that you can edit it to your liking. Features include a latest news widget, social media buttons, and a contact form for connecting with customers. You get a lot for nothing with this theme. Airi is a clean and minimalistic WordPress theme that has a ton of white space allowing visitors to really focus on your content. This theme is ideal for freelancers, agencies, startups, and small businesses. Airi supports WooCommerce so that setting up shop and selling products is a breeze. Also, this theme comes with Live Customizer so that you can easily tweak fonts, colors, backgrounds, and more to truly make your site your own. Neve is a high quality, one page WordPress theme that is completely customizable. Features include team member information, a section for product listings, and a large header image. Neve comes WooCommerce ready so that you can easily start selling your digital or physical goods. This is one of the most popular free themes available. GreatMag is the ideal solution for anyone wanting a sleek-looking magazine site. This is a visually-focused theme that features large images all across the homepage. Other key features include social media buttons to build up your following, ad spaces, and several widgets making customization easy. This is the perfect theme for anyone that’s not really computer-savvy. Regina Lite is a great theme for those companies in the medical field, however, it can definitely be used for other businesses as well. With its WooCommerce integration, you can easily set up shop selling medical supplies. The header area is populated with contact information and social buttons so visitors can easily find you via social media. Other features include a blog, an appointment setter that is perfect for doctors, and a section for team member information. This is a professional, free WordPress theme that is highly recommended. Vega is an ultra-premium theme without the price tag. The theme provides a nice, minimalist look which is perfect for personal blogs or business websites. Vega really reduces clutter and allows the visitor to truly hone in on your content. This theme offers a one-page or multi-page layout and is fully customizable. With stunning parallax background effects, recent post lists, and multilingual settings, Vega does not disappoint. Moesia is a beautifully-designed WordPress theme that works for businesses of any size. It is fully customizable and comes with two different blog layouts. Key features include the use of Google fonts, social media integration, and a custom header. Moesia is definitely a free option that you’d want to check out. Eighties is a stunning WordPress theme with a beautiful feed layout where written content is the only thing visible on the homepage. This theme is very easy on the eyes and is ideal for businesses or freelancer. Custom menus, header, and colors are all available for branding your site as much as needed. Eighties is a no-fuss theme that appeals to many different types of businesses. Alizee is a free theme if you’re interested in a grid-based option for creating anything from a photo gallery to a portfolio site. This theme has a masonry layout, resembling Pinterest, and is visually appealing to women. Since it is highly responsive, it looks great across any device. Cool features of Alizee include a logo/favicon upload option, custom scrolling and color options, along with Font Awesome icons. This is a theme worth checking out. Phlox is an elegant, feminine theme with a collection of features such as a large homepage slider, overlaying text title, call-to-action, and social media buttons. Phlox allows you to make a gorgeous portfolio in a sleek and modern way. This theme is ideal for lifestyle bloggers, travel bloggers, food bloggers, and just bloggers in general. Along with WooCommerce integration, social media icons, and custom Google fonts, there’s no way you can go wrong with this free theme. Spacious is a clean and playful WordPress theme with plenty of space for your content to be focused on. This awesome theme is ideal for blogs, portfolios, business sites, among other things. Features include boxed and wide layout options, four blog display types, 13 widget areas, and color customization. Spacious is a free theme that you don’t want to sleep on. eStore is a great free option for your online store. The theme is multi-functional and fully customizable in every way, giving store owners the flexibility of creating exactly what they want. eStore includes several great features such as multi-language flexibility, multi-currency flexibility, multiple ad spots, membership options, and the ability to showcase different products and categories on the homepage. Cannyon is a simple, clean theme ideal for a small business or blog. This theme allows you to use widgets for things such as revealing recent posts, listing company products or services, and sharing pertinent information such as operating hours. Cannyon also features social media icons and cool parallax effects. This is a theme definitely worth checking out. Ample is a free, multipurpose WordPress theme that is easy to use. This theme provides several customization options such as custom menus and backgrounds, along with custom headers and colors. The threaded-style comment section has a community-like feel to it so that you can connect with visitors who have questions or concerns. Along with the translation support for multi-lingual visitors, Ample is a nice solution for your business. Pinnacle provides a professional looking website without the price tag. This is a clean theme that is ideal for businesses, online stores, blogs, and portfolios. With its WooCommerce integration, you can set up shop to start selling digital or physical goods with ease. There are several customizable options available such as custom colors, headers, and menus. This theme doesn’t disappoint. Talon is a pretty impressive theme featuring a large header that takes up the majority of the screen. The header works as a slider or static image allowing for versatility with your design. Some key features include customer testimonials, a portfolio section, and several customization options so that you can make this theme your own. You can’t go wrong with Talon. Everal is a powerful free option with several customizable elements. The primary blog feed is displayed on the homepage and the sidebar can be utilized to display widgets or any other relevant content. This theme has various shortcodes available for making anything from progress bars to buttons. Everal is easy to navigate and translation-ready. OnePress could easily be one of the best free themes out on the market today because of its simplicity and professionalism. The theme was constructed to help out small or large businesses. Easily start selling physical or digital products with its WooCommerce integration. One powerful feature of this theme is its huge slider, which supports high-resolution imagery, overlaying buttons, and bold text that is bound to grab your visitors’ attention. OnePress is a one-page layout, which goes along with its responsive layout and allows it to look amazing across all devices. If you want premium without the price tag, this is your theme. FeaturedLite is a free theme specifically designed for corporate/business websites. This theme comes with a one-click setup which makes it more user-friendly. Key features include Live Customizer, header layouts, widget-based homepage sections, and unlimited color options. This theme very appealing to the eyes and is a must see! Oneline Lite is an impressive, one-page theme designed for agencies or small businesses. This theme features a background, slider with button styling, header settings, and a section hide option. Oneline Lite comes with helpful integrations such as WooCommerce and Lead Form Builder. This is a jaw-dropping theme that doesn’t disappoint. PortfolioLite is a stylish, multipurpose showcase theme that is ideal for portfolios and freelancers. This theme supports background slider, portfolio format, resume section, and a price section. There are unlimited color options, so customizing your theme is a breeze. PortfolioLite is translation ready, SEO friendly, and comes WooCommerce ready. NovelLite is a very popular, one page WordPress theme with multiple design elements and several unique features. The NovelLite theme comes with multiple child themes, with each one carrying different functionality. Features include Live Customizer, instant set up, and parallax effects. Shopline is an e-commerce WordPress theme ideal for opening up your own online store. This theme comes with advanced features such as one-click setup, typography, five header background options, unlimited color options, and WooCommerce integration. Easily set up your new shop with this powerful, free theme. ElanzaLite is a unique theme ideal for a magazine website, news site, or personal blog. Choose between a magazine or blog template. Features of this theme include Live Customizer, category color options, social icons, custom widgets, and spots for advertisements. With all of the different customizable options, you can really bring this theme to life. Anariel Lite offers a clean layout for small businesses or bloggers. This theme features different typography options and is translation and retina ready. Anariel Lite provides multiple layout options, Google fonts, and has support for video and audio posts. This modern and minimalistic theme does not disappoint. BlogAngel Lite is a fully responsive, elegant, blogging theme ideal for lifestyle bloggers, food bloggers, or travel bloggers. This theme has multiple sidebar options, several different homepage layouts, and social icons for allowing your visitors to connect with you across all social media platforms. BlogAngel is the perfect theme for blog lovers. Glowline Lite is one of the most powerful, free themes ideal for travel bloggers, food bloggers, and lifestyle bloggers. This theme has several unique features and is fully responsive, so it looks great across all devices. Glowline Lite offers a social icon section, pagination options, along with a widgetized sidebar and footer option. Set up your blog with ease with Glowline Lite. Socially Viral is a unique WordPress theme that was built to be fast, engaging, and boost viral traffic. With key features to help increase social sharing, you’ll get more traffic from the web’s top social media platforms and also boost your search engine ranking. Some cool features of this theme include WooCommerce integration, advanced background options, and unlimited color schemes. Take advantage of this powerful, free theme today. Musical is a unique WordPress entertainment theme that is ideal for a broad range of showbiz. It is highly flexible, allowing you to create a custom entertainment website from scratch. Musical is ideal for entertainment bloggers, musicians, music bands, and DJs. With this theme’s minimalist design, it helps your visitors focus on your content to maximize their experience. Some notable features include a brands/store section, custom music section, and space for advertisements. This theme has it all. OnePage Lite is a free, elegant WordPress theme that features a beautiful homepage layout complete with a portfolio, services tab, client testimonials, and a contact form. It has a powerful, full-width slider on the homepage with two strategic call-to-action buttons. With unlimited color options and a unique blog layout, you can easily make this theme your own. Don’t overlook OnePage Lite. When it comes to free WordPress themes, most of the time, people tend to shy away because they don’t feel that the themes are up to par with some of the premium themes on the market today. However, when it comes to this roundup of free, responsive WordPress themes, that couldn’t be further from the truth. Each theme listed above has unique features and looks as if it were a paid theme. There’s no way you can go wrong! I believe the responsive themes will become a standard in wordpress themes in two years time. what say you? Yep, its becoming a standard on the web in general thanks to smartphones / iPad etc. More work for the developers! That looks like a good blank theme to build on top of. Sorry, I’ve read too quickly and confused bbPress with buddypress. Seems like ThemeLoom is developing a lot of responsive themes for buddypress (e.g. Xi, Pure, etc. ), but I’ve found a comment of Sarah Gooding that says bbPress compatibility isn’t really theme-dependent so maybe the free ones will also do!? I would add another item to the list of specified WordPress themes. Free Astra Theme. Astra has both free themes with Elementor and paid themes. Very good design and theme support.